Lumbar spinal canal stenosis most likely appears to those who are in their 50s (excluding a few congenital cases). In this pathology, spinal nerve is compressed from its circumference. 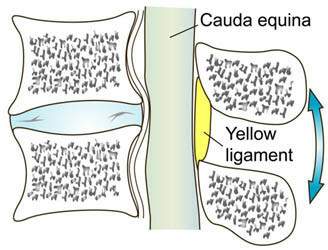 Facet joint hypertrophy togather with yellow ligament hypertrophy can cause narrowing of spinal canal. Typical symptom for this pathology is called dyspragia intermittens where patients gradually lose walking ability without taking a break. With dyspragia intermittens, many patients have no problem riding a bicycle; however, they experience severe difficulty in walking. 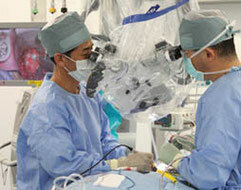 There are many options in surgical treatment for lumbar spinal canal stenosis. Here we present posterior lumbar decompression. 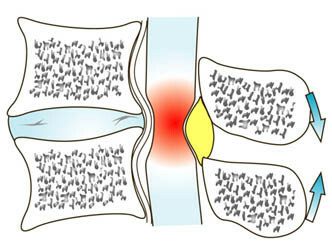 Posterior lumbar decompression is a basic proedure to treat lumbar spinal canal stenosis by removing hypertrophic yellow ligament and/or hypertrophic facet joint. With help of advanced equipments, surgeons can specifically target which section of bones and tissues are causing stenosis. By identifying such target, bones, tissues, and muscles that are not causing stenosis can be preserved and achieve MIS. 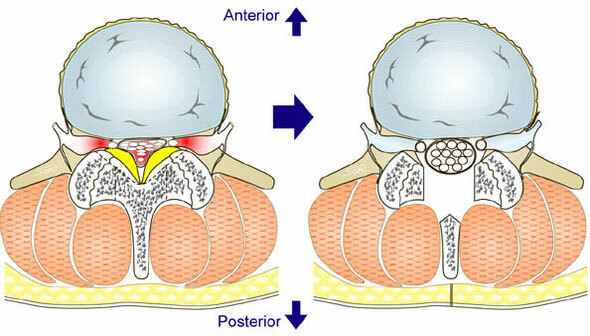 When upper and lower vertebrae are unstable after posterior lumbar decompression, procedure called Posterior Lumbar Interbody Fusion (PLIF) is added to secure stability. In case of PLIF, titanium screws are guided through tiny incisions on patient to keep the whole surgery minimally invasive.